On the beautiful Island of Iona the Argyll Hotel is a real home from home. We are 3 minutes walk along the village street from the ferry. The abbey is 10 minutes walk beyond us, so why not enjoy some food on your journey either to or from there? Welcome to the Argyll Hotel on Iona. We are a family run business with friendly staff and a great restaurant. Our aim is for you to feel at home as soon as you arrive so that you can begin your relaxing break. The oldest part of the hotel is 160 years old and it retains a lot of its original character. The North and South lounges both face the sea and you can read a paper after breakfast in front of a real fire, or play chess and have a drink in the evening.The North lounge is undergoing renovation and has exposed the beautiful pink granite and local wood has been used for skirting boards and windowsills, which continues the decorative style of the hotel. Relaxed and comfortable The main dining room has gives access to the sun lounge both of which have internet access. This lounge looks directly onto the sea and is a favourite haunt for those who want to hide out for a few hours, knitting, reading and a chance for a coffee and a brownie or a scone in the afternoon. In the evening there are some dining tables where you can watch the changing colours of the sea with a candlelit supper. We have 16 bedrooms should you want to stay for a break. There is no single supplement for accomodation. Well behaved dogs and children are most welcome. Because of the age of the building our rooms are all individual and are mostly described as 'cosy', which means on the smaller size. The single rooms have been upgraded this winter and have a brighter and contemporary feel. Being away from it all is the feeling of the Island and each kind of weather brings its own beauty. For us it is never the wrong weather, just the wrong clothes so come prepared! Lots to explore outside or plenty of places to cosy up and relax. 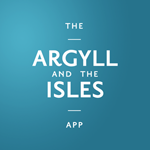 Unfortunately, TripAdvisor reviews for Argyll Hotel Iona have not been added to this listing, or the information is not currently available.